The World Bank has estimated that Africa has more than 50% of the world’s fertile and unused land and agriculture accounts for the 25% of the continent’s GDP. A development in the agricultural sector would lead to a sustained economic growth in the whole continent and every country would benefit from it. In Ghana, agriculture is the most important economic sector employing more than half of the population. Checking on local free online classified websites, you could see a section dedicated to job vacancies and other job opportunities, but the unemployment rate is still very high. Even though the economy in Ghana, like in the rest of the continent, has been growing sustainably in the last years, fighting poverty and decreasing the youth unemployment rate is still a big issue for this country that could be solved simply investing more into agriculture, adding more value to this sector and making it more appealing to young people. In fact, agriculture could really absorb millions of young people looking for a job and focusing on this sector could really help the country enhancing productivity, reducing food prices and its need for imported goods. In order to do so, the Ministry of Food and Agriculture of Ghana has developed the so-called Youth in Agriculture Program together with the National Youth Employment Program, an agency created in 2006 to motivate and empower young people to be an active part in the social and economic growth of their country. 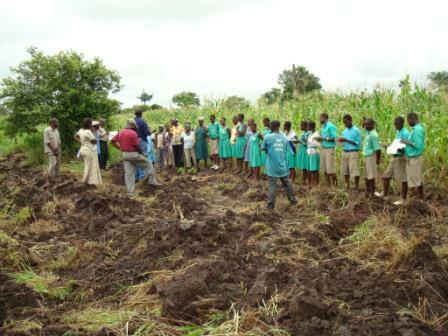 The Youth in Agriculture program has been introduced to facilitate food and nutrition security and sustainability in agriculture production, but also to change the preconception that agriculture is just for unskilled and uneducated people, making them aware that today it is a commercial activity that requires innovation and energy and that can create job opportunities in research, environment and also engineering. Young men and women interested in the program get the chance to run their own farm and fisheries or take care of the production of livestock and poultry choosing to use modern technology with the help of the government that will assist them and provide them with the land and equipment for the benefits of a whole country. My name is Angy, I am a freelance editor and I’m currently writing for Ghanaian and international blogs and websites writing articles on various topics such as sports, technology, fashion, beauty, career and employment. My hobbies and interests are reading, travelling and sports. Actually I study jounalism at university. A job I would like to do in the future would be to work as a foreign correspondent journalist as I love travelling and learning about other cultures . My hobbies are also photography and art. My passion for writing has followed me throughout decades and is for me the most important thing in my life. Completed Damongo Agric College in 2011.No job and so helpless.But i wish i could be equiped with enterpreneural skills to start something on my own.How could I be supported?